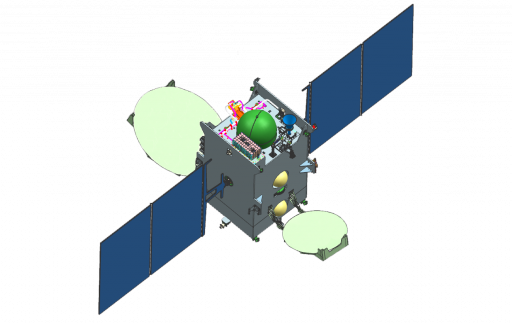 GSAT-9, also known as South Asia Sat, is a Geostationary Communications Satellite built by the Indian Space Research Organization and operated by Insat to deliver a range of communications services to India and members of the South Asian Association for Regional Cooperation (SAARC). 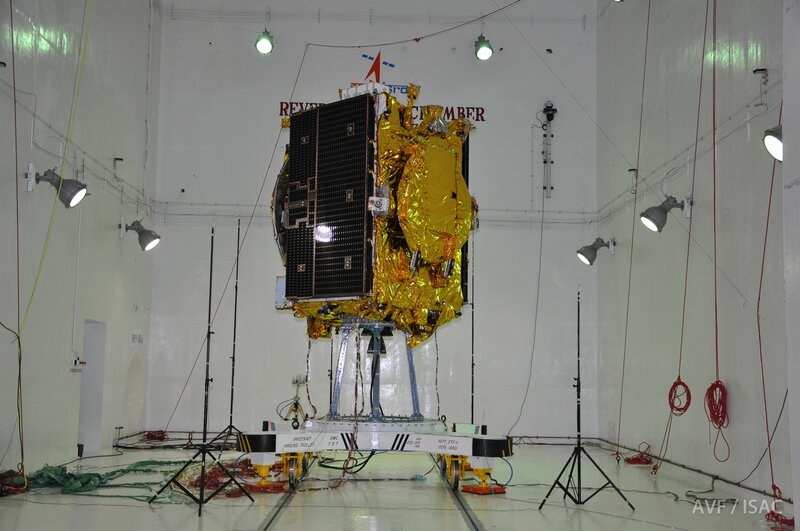 The satellite targets launch in the spring of 2017 atop India’s Geosynchronous Satellite Launch Vehicle Mk.II, conducting its ninth mission. 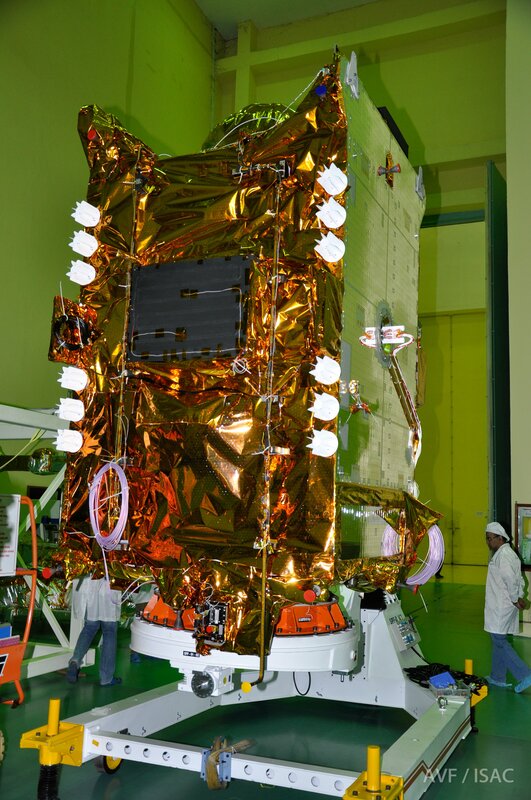 The 2,230-Kilogram satellite is based on ISRO’s I-2K platform and hosts 12 Ku-Band transponders. The spacecraft’s all-Ku payload delivers a dedicated India beam and coverage zones over the SAARC states to deliver different communications services including Direct-to-Home Television distribution. GSAT-9 will reinforce India’s GAGAN system and add redundancy in case one of the other space terminals encounters technical problems. To date, the system has been used in a variety of areas beyond aviation such as mapping of India’s forest lands at very high accuracy and GAGAN also finds various military applications including missile guidance. 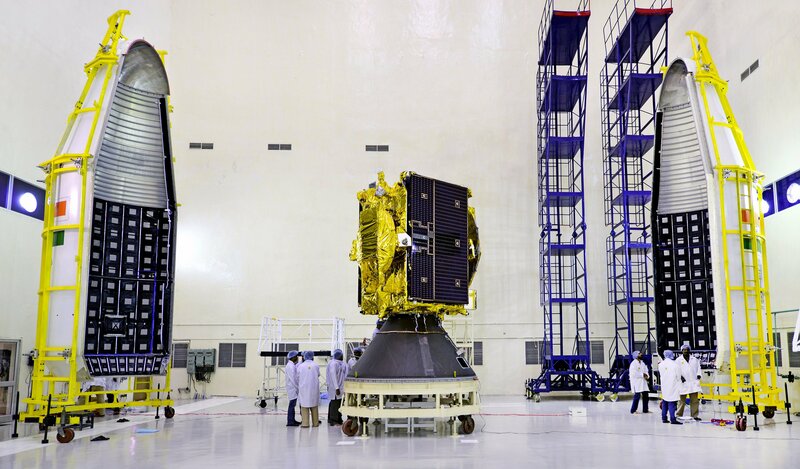 GSAT-9 has been designed for a 12-year service life and will operate from 48 degrees East in Geostationary Orbit from where it can cover the entire Indian and SAARC territory. GSAT-9 is based on ISRO’s I-2K satellite bus for satellites in the 2,000-Kilogram mass range, suitable for different applications including communications and meteorology. The satellite has a dry mass of 976 Kilograms and a bus size of 2.4 by 1.6 by 1.5 meters. Fueled for launch, the spacecraft weighs 2,230 Kilograms including propellants for its climb to Geostationary Orbit and stationkeeping once arriving in its operational slot. The spacecraft structure makes use of lightweight honeycomb panels with aluminum/CFRP face-sheets connected to a central cylinder that acts as the load-carrying structure, running the entire length of the vehicle and facilitating the propellant tanks. GSAT-9 hosts a pair of deployable solar arrays covered with Advanced Triple Junction solar cells that generate 3,500 Watts of electrical power. A micro-stepping device is employed as a Solar Array Drive Assembly, pointing the solar arrays toward the sun. The satellite’s central power bus is regulated by a central EPS unit. GSAT-9 employs a hybrid propulsion system comprising a chemical main propulsion system and an electric propulsion system that will be used for stationkeeping maneuvers in Geostationary Orbit. The chemical propulsion system features two spherical propellant tanks facilitated within the central cylinder of the spacecraft. GSAT-9 uses Unsymmetrical Dimethylhydrazine as fuel and Mixed Oxides of Nitrogen [MON-3: Nitrogen Tetroxide with 3% Nitric Oxide] as oxidizer that is fed to the engines via propellant lines facilitating pressure regulators. Tank pressurization is accomplished with high-pressure Helium stored at a pressure of 23.5Mpa that is regulated down to under 2MPa for tank pressurization. The Main Propulsion System is centered around the Liquid Apogee Motor providing 440 Newtons of thrust, operating at a mixture ratio (O/F) of 1.65. It has a nozzle ratio of 160 providing a specific impulse of 3,041N*sec/kg. 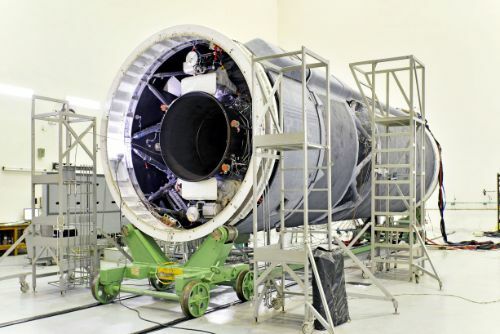 The engine’s injector is a co-axial swirl element made of titanium while the thrust chamber is constructed of Columbium alloy that is radiatively cooled. Electron welding technique is used to mate the injector to the combustion chamber. LAM is a robust engine that can tolerate injection pressures of 0.9 to 2.0 MPa, propellant temperatures of 0 to 65°C, mixture ratios of 1.2 to 2.0 and bus voltages of 28 to 42 Volts. The engine is certified for long firings of up to 3,000 seconds and a cumulative firing time of >23,542 seconds. The Attitude Determination System makes use of Star Trackers and Earth Sensors as the primary source of pointing information to achieve a very stable Earth-pointed orientation. Actuation employs reaction wheels assisted by the 22-Newton thruster when needed for wheel unloading. The use of electric propulsion on GSAT-9 is considered experimental. The satellite uses a four 18-millinewton Stationary Plasma Thrusters from an 80kg supply of Xenon which will enable the satellite to keep on station in GEO for over a decade. 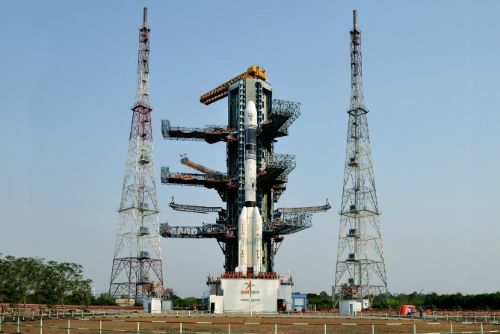 Copyright © 2019 GSLV – GSAT-9 | Spaceflight101. All rights reserved.